Welcome to the Archives Page! Here you can easily browse through all the blog posts on this site by date, title, or category. Click on the month’s name if you want to read all the posts for that month. Click on a post’s title to read a specific post. Click on a category in the sidebar (scroll down) to read all the posts in that category. 25: Come and Stand Amazed, You People! 08: A Happy Star Trek Christmas! 28: Read the Bible Through in a Week? 01: New Leaf or New Life? 27: Because It’s A Batphone! 18: Do You Need Wireless Service? 31: Do I have a Christian responsibility to vote? 26: 1 Million Blog Visitors! 16: Happy 200th Birthday, Mexico! 09: When Does Marriage Begin? 29: New Amazon Kindle Goes Wi-Fi! 14: Happy Birthday to the U.S. Army! 03: Another Round of Celtics-Lakers! 29: Are You Sitting Rent Free? 02: What’s So Good about Friday? 12: Yes, we are all in Florida now! 28: What’s Worse Than Committing the Unforgivable Sin? 27: Can an Atheist Blaspheme the Holy Spirit? 26: What Is Blasphemy against the Holy Spirit? 09: What is Good Friday? 09: What is Maundy Thursday? 01: Don’t Be an April Fool! 30: So how’s Mr. Mom doing? 26: Nightline Face-Off: Does Satan Exist? 23: Are librarians allowed to do that? 17: Where did people come from? 15: Congratulations Coral Ridge, New City and Tullian! 03: Should I Give Something Up for Lent? 27: White House Vetting Prayers? 27: What is Ash Wednesday? 27: Should Christians Celebrate Lent? 20: Look Ma, Someone Messed Up My Blog! 06: How Big Is a Trillion? 24: What If the Wise Men Were Women? 10: What Was the Star of Bethlehem? 20: Who’s Buried in Herod’s Tomb? 05: Congratulations Senator Barack Obama! 30: Bailing Out the Bailout? 07: Server Problems – OUCH!!! 12: Look what came through the doggie door! 31: Who Makes the Wind Blow? 24: What If We Already Lived Together Before Marriage? 03: Pew Forum Religion Survey Skewed? 05: Celtics-Lakers: Let the Finals Begin! 29: Will Susan Return to Narnia? 28: Who Whistled the Andy Griffith Theme Song? 27: How Long Should Pastors Preach? 20: Narnia Poll: Read the books in which order? 07: How Will the Prince Caspian Movie Be Different from the Book? 17: Climate Change Bias at Wikipedia? 15: What Do People Want Most from Church? 19: Winter is Almost Over – Hang On! 18: Do Pastors Prepare Their Own Sermons? 14: The Amazing Adventures of Danny D.
07: Thanks for the Links! 29: Leaping Lizards, It’s Leap Year! 22: How Much Did Jesus Know about the Cross? 19: Are We Too Dependent on Music for Worship? 02: Happy Groundhog Day 2008! 01: Blog Contest: Guess the 150th Country! 30: How Much Does It Cost to Raise Children? 22: How Big is 46 Million? 15: Why Are Easter and Passover a Month Apart This Year? 08: What May the Church Do in Politics? 17: Mike Huckabee Sermon Found! 13: At Least It’s Not Condition 1 Weather! 28: Now that’s a speed bump! 27: Is Squanto in the Bible? 23: Flat-Screen HD TV with Remote – Only $99.99! 20: Kindling a Spark for Electronic Reading? 07: Happy Birthday to Billy Graham! 29: Go Sox! Congratulations, Mike Lowell! 26: Blog Contest: Guess the 100th Country! 26: What is wrong with making an image of God? 07: How much is your blog worth? 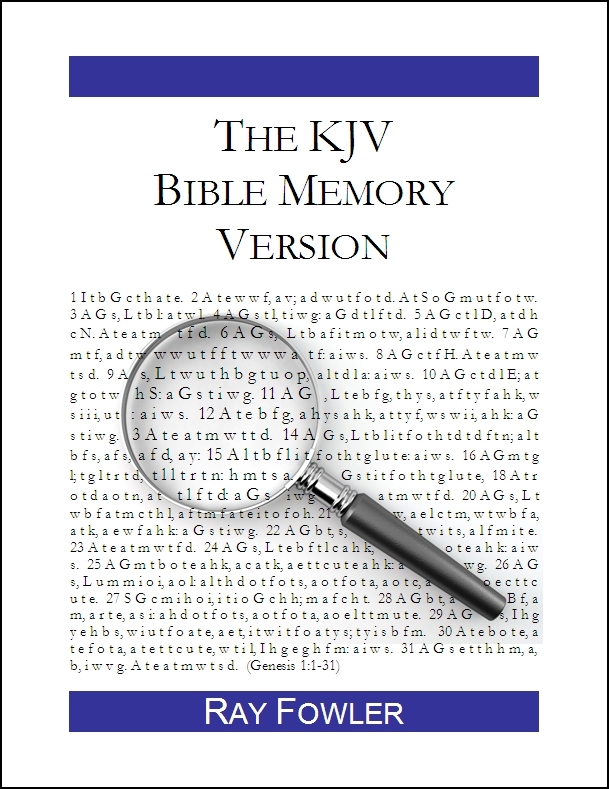 15: How can parents help their kids memorize the Bible? 13: Is the Bible Relevant to Archaeology? 17: So When Do You Start Preparing for Sunday? 10: Beliefnet Debate: Are Mormons Christian? 27: Can We Trust the Gospels? 14: You May Be a Minister and Not Even Know It! 13: Paris Hilton Jailhouse Conversion? 29: How Would You Like to Run Your Car on Saltwater? 26: Okay pastors, get your sermons done and no whining! 24: Should Christians Call Mormonism a Cult? 18: Blogging with Habakkuk (20) – Is God There? 17: Can a marching band make a bridge collapse? 17: Blogging with Habakkuk (19) – Is God There? 16: Blogging with Habakkuk (18) – Is God There? 15: Blogging with Habakkuk (17) – Is God There? 08: King Herod’s Tomb Found? 08: Children – Pollutants, Products or a Blessing? 04: Blogging with Habakkuk (12) – Is God Fair? 03: Blogging with Habakkuk (11) – Is God Fair? 02: Preaching: Monologue or Dialogue? 02: Blogging with Habakkuk (10) – Is God Fair? 01: Blogging with Habakkuk (9) – Is God Fair? 30: So When is Your Tax Freedom Day? 27: Blogging with Habakkuk (8) – Does God Care? 26: Blogging with Habakkuk (7) – Does God Care? 25: Blogging with Habakkuk (6) – Does God Care? 24: Blogging with Habakkuk (5) – Does God Care? 23: Get Ready for Flying Cars? 18: Blogging with Habakkuk (2) – Who? When? Why? 09: Newsweek: Is God Real? 29: A sequel by any other name . . .
27: The Jesus Family Tomb and Bayes’ Theorum – You Do the Math! 26: The Looming Tower – Who Are the Real Muslims? 22: Where on Earth in the Bible? 08: Can Movies Change Your Life?